When discussing the merits of video games as an artform, gamers generally have two living examples ready to fire off—ICO and Shadow of the Colossus. 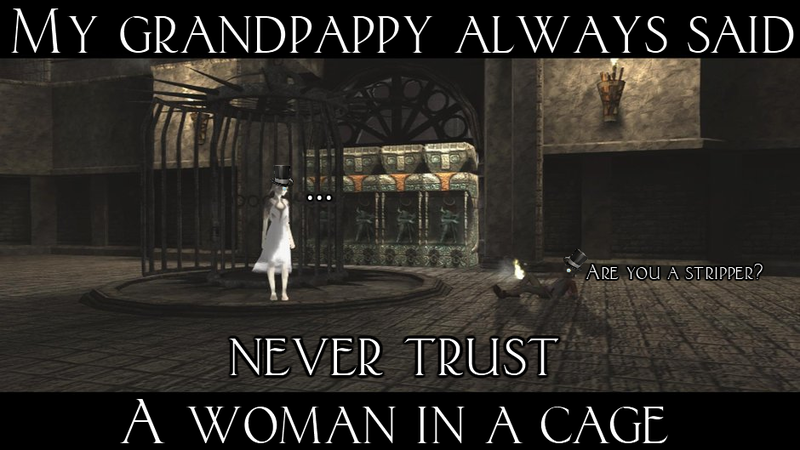 And that’s not without good reason; visuals, level designs, graphics, and storytelling that artistic are rarely seen outside of games made by the developer, Team ICO. With their next game still well over the horizon, Sony decided to give the fans what they’ve been clamoring for—a remastered release of the two classics on Playstation 3. Since I happen to be such a fervent fan of Shadow of the Colossus and have never played the team’s first game, I decided to relinquish more of my money to SCEA like the filthy consumer sheep I am. 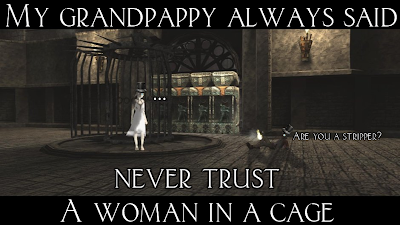 Could ICO possibly meet my standards, set by its successor, or was it just a stepping stone to greater things? 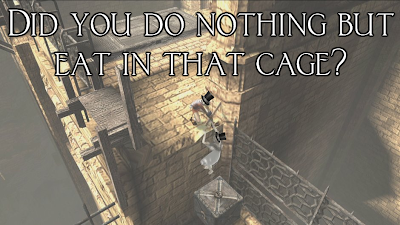 As in Shadow of the Colossus, ICO’s story is quite simple. A boy with horns is brought to a castle by unknown men and left to expire because of some superstitious hogwash. After his escape, he rescues a girl named Yorda from her captivity and the two spend the remainder of the game searching for castle’s exit. A certain beauty exists in a story so simple, and the presentation is such that the player does not realize its scarcity until another cut scene progresses the plot. That leads me to another marvelous aspect about ICO—its lack of cut scenes. The brevity of the story means fewer cut scenes and thus, less breaks in the action, a trend that is disappointingly absent from the majority of modern games. Metal Gear Solid 4 is a perfect example of what happens when cut scenes go horribly wrong and transform what could have been a magnificent game into an interactive film. Luckily, Team ICO seems to care far more about making a game than a movie, so ICO is assuredly the former. ICO’s art style should be familiar to fans of Shadow of the Colossus, marked by scores of interesting stone architecture, glowing designs, and wildly varied landscapes. The unique style is absolutely beautiful and provides for an intensely visually interesting game. One distinct difference between ICO and its spiritual successor is that ICO uses far less bloom effect. As beautiful as Colossus was, I certainly could have stood for less amateur Photoshop effects, as the graphics and art speak more loudly than hazy lighting. The art style also does a wonderful job of directing the player through the same rooms repeatedly without boring them to death. A perfectly bad example of level reuse comes in the form of Legend of Zelda: Phantom Hourglass. In that game, the player had to go through the same central temple multiple times to advance. Doing so was incredibly painful, boring, and made me face the fact that I was wasting my time left on earth solving the same five puzzles ad infinitum. ICO, on the other hand, reuses rooms the correct way—by either using radically different space within the room, having wildly dissimilar puzzles, or making the room distractingly beautiful. Combat in ICO is almost non-existent. You beat shadow monsters with sticks or swords quite easily, so I’m perplexed as to why they were added to the game at all. I’d wager that their true purpose was to make the player drag Yorda around, lest she be swallowed by the baddies and cause a game over. It is a rather cheap mechanism that adds a brand of superficial importance to Yorda. If she actually meant a thing to the player, he would have dragged her around the level without the threat of failure. The combat mechanic should have been either improved or removed, as it serves no real purpose in the game other than to lengthen gameplay and artificially inflate Yorda’s importance. It simply feels like an afterthought. On a related note, the game only took seven hours to complete and I am torn between thinking that’s an asset or a drawback. I usually prefer games to take longer as I tend to revel in and obsess over them for a time and then never play them again. However, I’m not sure ten more hours of climbing, puzzle solving, and woman pulling would have made the game any better. 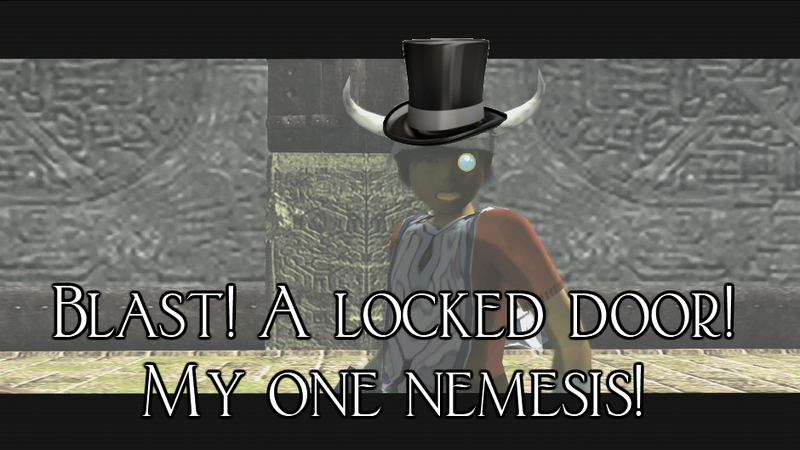 ICO’s most glaring flaw is the frustrating camera. Barely moving the camera stick whips the camera quickly in that direction, making pinpointing specific objects a chore. The constant slight movements of human fingers make trying to focus on something in the room a bit nauseating as the screen whips about with the slightest pressure difference. One could assume that this issue carried over for the entirety of the camera’s range, but one would be sorely mistaken; the camera’s movement slows down to a crawl at its borders. When approaching its boundaries, the camera’s sluggishness makes looking farther than half the screen away nigh pointless, as it is more frustrating than helpful. If you have ever played a PC game with low mouse sensitivity, you can commiserate. I simply feel as if the developers could have taken some time to fix this obvious flaw. I’d rather be frustrated by my own ineptitude at solving a puzzle than failing to properly wrangle an unruly camera. 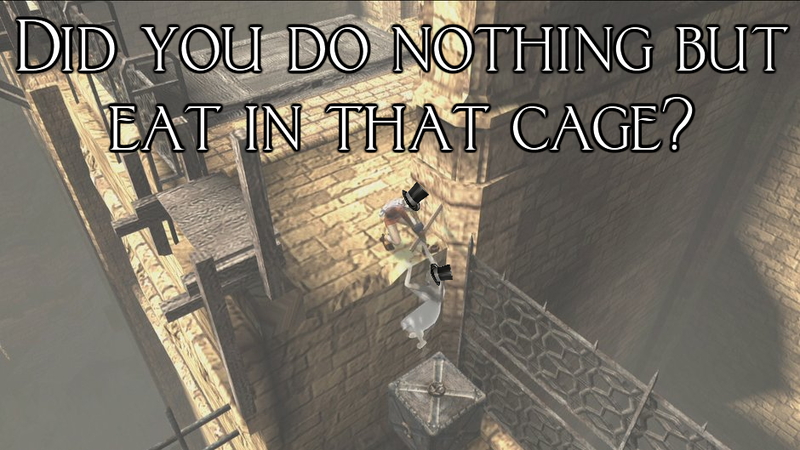 ICO is a beautiful game, just like its spiritual successor. 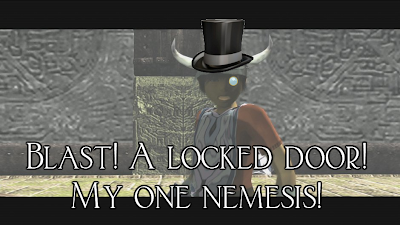 It may be slightly rougher around the edges, but Team ICO’s charm is certainly present. If you enjoyed the platforming and puzzles of Uncharted and the art style of Shadow of the Colossus, you’ll love ICO. Though the camera may be a bit of a pain and the enemies are little more than an annoyance, you will find seven or so hours of wonderful fun in high definition.